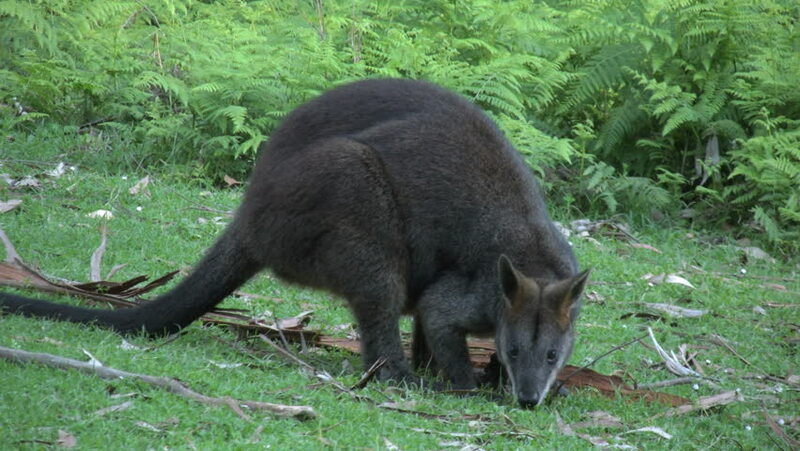 A wallaby grazes on the grass then looks around. 4k00:26A dark wallaby examines the ground. 4k00:25black leopard or black panther waiking around on grass.